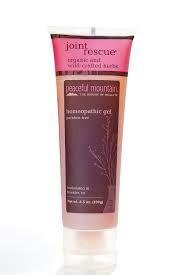 Joint Rescue contains homeopathic ingredients that may help to temporarily relieve symptoms associated with arthritis and other painful joint conditions. Homeopathic components such as Rhododendron Chrysanthum and Symphytum Officinale mayprovide joint support. This water-based gel also has a blend of herbs that absorb quickly into the skin. Temporary relief for people who suffer from arthritis. Unscented natural formula with full strength herbs. Contains anti-inflammatory and pain-relieving ingredients. Turmeric (root), Vitamin C, Vitamin E, White Willow (bark) in a water-based gel.